The Vector Network Analyzer, VNAUHF, measures impedance (magnitude and phase) and filter transmission in the range of 5 kHz to 1200 MHz. The test frequency is generated digitally. An analog to digital converter digitizes the raw data. This avoids non-linearity associated with diode detectors, and results in very good dynamic range and linearity for accurate magnitude and phase measurements. Port A is equivalent to an antenna analyzer. (Similar to the AIMuhf). 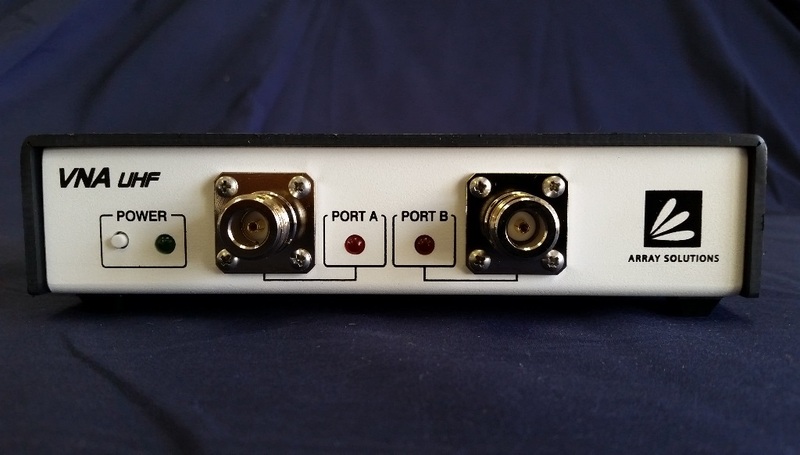 Port B has a 50 ohm input impedance with return loss greater than 20dB. 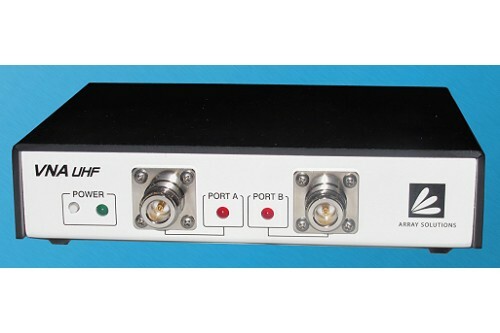 Port B nominal dynamic range: 90 dB up to 200 MHz, 70 dB up to 500 MHz, 60 dB up to 1 GHz. Programmable RF amplitude for Port A (-13 to -33 dBm). Resistance and reactance measurements of antennas and discrete components. Transmission measurements through filters or networks. Markers for impedance scans and Smith charts. Resistance and reactance for series or parallel equivalent circuits. Impedance magnitude and phase angle. Two port network transmission (S21, magnitude and phase). S11 and S21 can be plotted at the same time. Impedance measurements can range up to 10K ohms. The sign of the phase angle indicates either inductive or capacitive reactance without ambiguity. The RF generator can also be used as a signal source for testing receivers. The frequency is very stable and it can be calibrated with the WWV signal. Digitized data is sent to the PC via an optically isolated USB port. Power for the VNAuhf can be obtained from a small DC power supply or a battery. With a laptop computer, the unit is quite small and portable. Measurements can be made at ground level and translated as if they were at the antenna feedpoint by using the refer to antenna function. The impedance at the antenna itself can be read with the VNAuhf located in the shack at the receiving/transmitting end of the coax. The cable can be any length. The cable's impedance and loss characteristics are determined by a simple calibration procedure and the antenna's impedance is then plotted directly during the scan. Numeric values can be read from the graph data using the mouse-controlled cursor. The scan data can be saved to disk or printed to compare before and after results. It can also be imported into spreadsheet programs for further analysis. 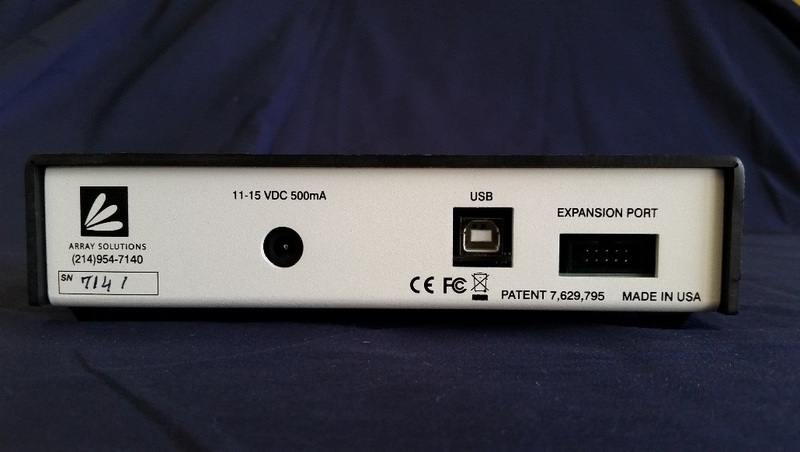 VNA-PC - Protective Case for your VNA-2180 or VNA UHF with room for loads, PS, cables..